If a company is going to make a difference in today’s world, it’s going to have to think differently. Our story starts back in January of 1988—a time when family farms were on the brink of extinction. We were a handful of farmers in Southwestern Wisconsin’s coulee region and we shared a love of the land. We also shared the belief that a new, sustainable approach to agriculture could help family farms and rural communities survive. Electromagnetic Energy and Our Health … a 3rd diabetes? In the 1970’s scientists at the forefront of the Health and Wellness Movement started to warn consumers about the ramifications of electromagnetic energy. As usually happens when someone introduces a new concept they were ridiculed. Thank goodness innovative thinkers all the way back to those who thought the world was round when experts thought the world was flat have not given up. Over the years I tried to minimilize the effects of dirty electricity fields on my family by keeping all electrical appliances out of my bedroom; ensuring my children did not sleep next to a high energy area; keeping them a distance away from the TV; not using electric blankets; keeping my electric clock far from my bed. A youtube clip by Dr. Magda Havas of Trent University in Canada on Diabetes and Electrosensitivity has shown one symptom of electrohypersensitivity is altered sugar metabolism similar to diabetes; she is calling it a new form of diabetes; type 3 diabetes. After listening to her lecture I realized why I felt so discombobulated when I exercised on a machine in a gym! Dr. Don Huber, a senior soil scientist at Purdue University, believes the appearance and prevalence of a newly discovered organism that may have the potential to cause infertility and spontaneous abortion in farm animals may be related to the nation’s over reliance on the weed killer known as Roundup and/or to something about the genetically engineered Roundup-Ready crops. In a letter to Secretary of Agriculture Tom Vilsack, the professor called on the federal government to immediately stop deregulation of roundup ready crops, particularly roundup ready alfalfa. 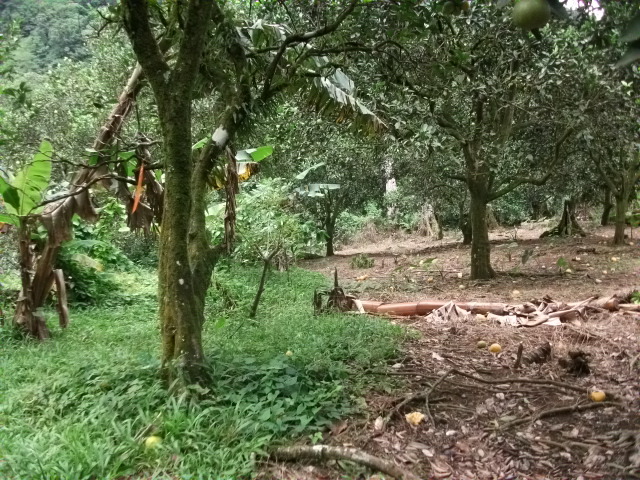 I started this blog with one of my goals being the promoting of Dominica as an organic island. We are far from that; gramaxone dead zones are all over the island; but it does not hurt to dream! On the positive side there is a new organic certification programme about to be launched. This program is truly amazing in that it is available to all; egalitarian certification is the only way to go. I will write more later about this system in the weeks to come. For now I just wanted to link you to the newest study of the higher quality of food that organic agriculture produces. Sale of organic foods is one of the fastest growing market segments within the global food industry. People often buy organic food because they believe organic farms produce more nutritious and better tasting food from healthier soils. Here we tested if there are significant differences in fruit and soil quality from 13 pairs of commercial organic and conventional strawberry agroecosystems in California.